Pop the asparagus into a pot of rapidly boiling salted water and boil for about 1 minute to soften slightly, drain and set aside. In a wok on a high heat, add a little oil, toss in the galic, stir and then immediately add the meat, stir fry fast, tossing it around for about 2 minutes. Add the beef stock and the oyster sauce and combine well, stirring constantly. Now add the maizena mixture and stir for about another minute or 2 until the suace thickens. Toss in the asparagus and mix the whole lot around or toss it in the wok to combine everything and cover the asparagus with sauce and serve separately with rice. Thats that, a delicious meal in under 15minutes. In a bowl, mix together the sesame oil and black pepper, place the duck breasts into the bowl and rub them with the oil and pepper. get your hands in there and give them a good massage. Now heat a pan or wok with a little oil to medium hot and cook the duck breasts for about 2 or 3 minutes on each side until browned. If you press on the breast during cooking it should spring back at you, this tells you it is not overcooked and still pink inside. remove them and set aside to rest while you make the sauce. Wipe the pan clean with some kitchen paper, reduce the heat to medium and add the pineapple chunks with their juice, the ginger and heat through for about 3 minutes. Now add the soy sauce, bring to the boil and add the maizena mixture stirring constantly. Boil for about 2 minutes or until the sauce is thickened and glossy. 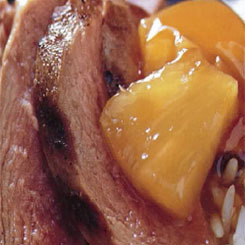 Slice the duck breasts into thin slices across the grain and smother with the sweet pineapple sauce. 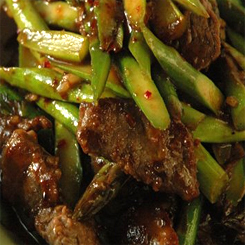 Serve it with plain boiled rice and perhaps something like the Pak Choy as a vegetable. Sift the flour and salt into a large bowl, add the caster sugar and butter and work with your fingers until you have a breadcrumb like texture. Now add the egg yolk and cold water and mix with a fork until combined and the dough is coming away from the sides of the bowl. Gather up the dough, wrap in cling film and refrigerate for about 1/2 an hour. Take a 23cm round baking dish and press the dough as thin as you can into the base and up the sides of the dish. Bake the crust on it’s own in a 180 Celsius over for 10 minutes, remove and allow to cool while you prepare the filling. In a bowl add the cream and maizena and whisk to combine. In a pot over a medium to high heat bring the milk to the boil, add the sugar, butter and salt and stir furiously, remove from the heat, add the vanilla essence and nutmeg, stir and pour over the cream mixture, mixing well. Now pour the egg yolks into the mixture and whisk very well. It should start to thicken. Pour the mixture into the pie crust and bake at 180 Celsius for 20 minutes. 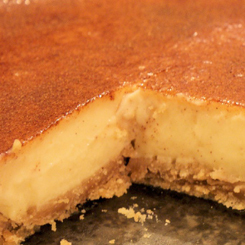 Remove from the oven, sprinkle with cinnamon and caster sugar mixture and serve hot or cold. The first thing you need to do is blitz the onions, garlic, ginger and chilis in a food processor or grind to a paste in a pestle and mortar. Heat about 4 tablespoons of oil in a heavy base frying pan over a medium heat and add your paste. Cook for about 3 minutes or so and then add the bay leaves. Cook, stirring until it begins to brown. Add the mince and cook, stirring occasionally until the meat changes colour, about 15 minutes. Now add the tomato paste and reduce the heat to low. Add the turmeric, chili powder, coriander powder, salt, pepper and cumin and give the mixture a good mix to combine all the flavors. Add the yoghurt and about 3/4 cup water and give it a mix. Cook until most of the water has evaporated. Now add the peas, stir, cover and simmer for 15 minutes. 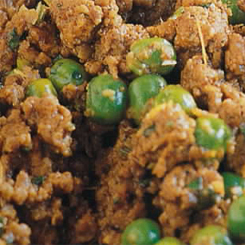 Whe you are ready to serve, toss in the chopped coriander leaves, stir and serve. It’s a really great tasting dish that is perfect for work the next day. 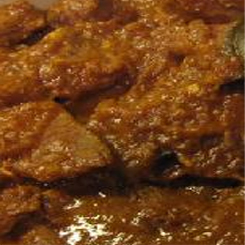 Another fantastic curry is the Kerala country chicken, give it a try. It has a long list of spices so print it out and head off to Atlas trading if you are in CT or your local spice shop with the recipe to make sure you have all of the spices. In a large bowl, add the cubes of meat, galic, ginger, cumin. chili powder, paprika and coriander. Mix it all together well ensuring that each piece of meat has spices on it. Cover with cling film and place in the fridge for at least 3 hours or overnight. 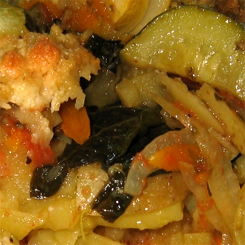 In a large cast iron casserole dish or a large heavy base pot on the stove over a medium to hot heat, heat the oil, add the onions and stir until the onions begin to brown. Now add the cardomon pods, cinnamon stick, cloves and bay leaves and cook for another minute or so, stirring. The aromas will begin to fill your kitchen. Add the meat with every last little bit of the spices from the bowl and stir around for about 2 or 3 minutes. Reduce heat to low, place the lid on allow to cook for 15 minutes, stirring every 5 minutes . Remove the lid and keep cooking until most of the liquid has evaporated. There wont be much liquid so it will only take about 3 or 4 minutes. Sounds crazy, but now you want to add 1/2 cup of water, cover again and let it cook for another 5 minutes or so, remove the lid and let the water evaporate again. This is all part of the tenderising and flavor enhancement process so don’t shortcut. Give the meat another stir and now add 1 cup of water, place the lid on and simmer for 50 minutes on low without disturbing. Remove from the heat, stir in the yoghurt, add about 1 teaspoon each of salt and pepper, stir well, cover and take to the table to be served. Rub the butter onto the base and sides of a 23cm square or similar casserole dish. Layer the vegetables, starting with a layer of potato and spooning over a thin layer of the soup before the next layer of potato and a little sprinkle of pepper. If you are adding chicken to it just make an extra layer with the chicken. Once the dish is full, pour over the rest of the soup and spread it evenly with a spoon. Top of with a layer of grated cheddar cheese and pop into the oven with a lid on for 1/2 an hour. Then remove the lid and bake for another 10 minutes. You could quite easily use broccoli or cauliflower as well, just make 2 different layer types, 1 of potato and the other of the rest of the veg and repeat twice. This is so easy and tasty it’s worth making every day! Try this Traditional Moussaka recipe for something really special. 1 tablespoon green peppercorns in brine, crushed with the back of a knife. Cook the pasta, rinse under cold water and set aside to cool. Poach or steam the chicken, chop or slice into bite size pieces and set aside to cool. Add all of the dressing ingredients together in a bowl and whisk to a creamy consistency. You can replace the peppercorns with capers but the peppercorns are a really great flavour. 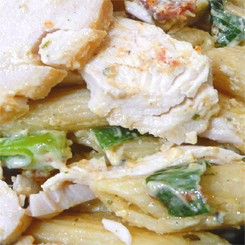 Combine the chicken and pasta in a bowl(if you are adding anything else, add it now), pour over the dressing and toss to coat the chicken and pasta with the dressing. Add a pinch of paprika to each serving. I’ve added this to cooking for one becuase it lasts well and you can have a whole lot of different flavored meals from this one dish. 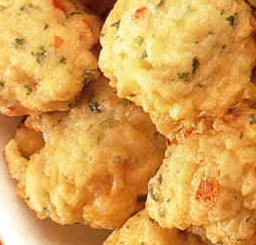 These little Thai beauties are so indulgent and so delicious that this prawn ball recipe meant for 4 or 5 people can easily be consumed by 1 or 2 during a great DVD in the cold weather. You really need a food processor for the recipe but if you don’t have one and are willing to chop up prawns into tiny little pieces you will be just fine…. It will be worth it I tell you. It’s easy and quick and just the best tasting snack you can imagine. Add the prawns, chilis, coriander, egg whites, ginger, garlic and fish sauce to your food processor and blitz for about 30 seconds or so. Pulse it to start with and then give it about 10 seconds on high speed. Scrape out all of the mixture into a mixing bowl, add the flour and with a folding motion combine into the mixture until evenly distributed. If you are having people over, the mixture can happily stay in the fridge for an hour until you are ready to fry. heat about 1cm of oil in a pan on a medium heat. Take heaped teaspoons of the mixture and form little balls with your hands… always wash your hands first. Place them in the oil and fry until golden all over. 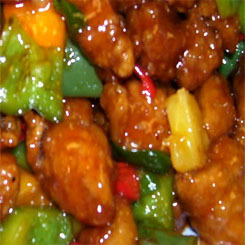 Serve with a sweet chili dipping sauce. Every now and then I really NEED a good creamy pasta and this creamy smoked salmon pasta recipe hits all of the right spots. It’s decadent and is really simple to prepare. You can fancy this one up for guests very easily by putting a teaspoon of caviar or capers on top with a nice piece of fresh dill. The sauce doubles perfectly, so although this is for 2, just double for 4. In a large pot of salted water boiling furiously, cook the pasta until al dente and drain well. While the pasta is cooking, take a pan on a medium heat with a little olive oil and cook the p[nions until soft and translucent. You want them soft but not browned. Pour in the cream and stir, allow it to simmer and reduce by about 1/3. Stir it from time to time and ensure it does not boil, reduce the heat if necessary. 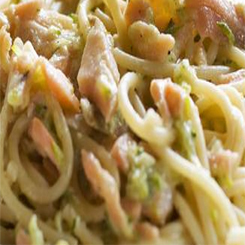 Remove from the heat, add the smoked salmon, chives and lemon juice, stir and then add your pasta to the sauce and mix to coat. Taste the sauce now and if it needs salt add some, you shouldn’t need any but depending on your salmon you may. If you are going to add capers add them now and do not add any salt. Transfer to you plate, give it a good grind of black pepper and a sprinkle of parmesan. That’s it, a fantastic meal in 20 minutes. If you are a fan of creamy pasta sauces, try this chicken liver pasta, it’s fabulous.